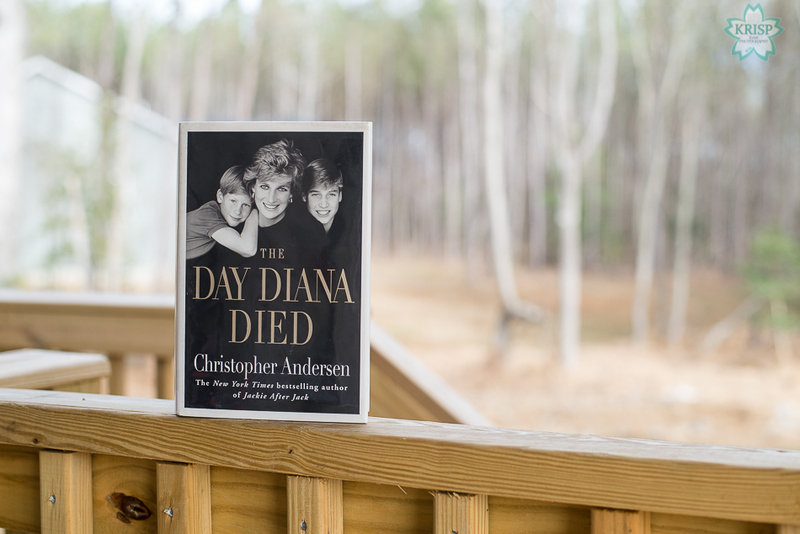 The Day Diana Died by Christopher Andersen is a non-fiction book about the day Diana died. 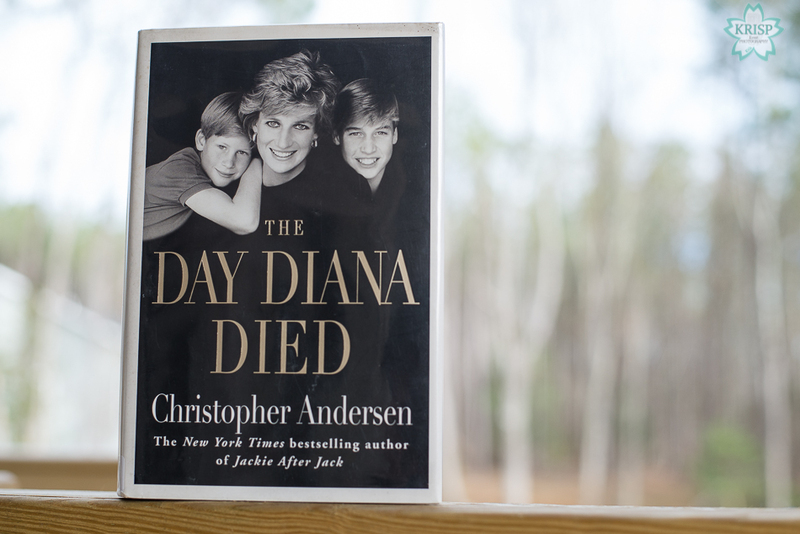 The book begins with a simple question: do you remember where you were, who you were with and/or what you were doing when you heard Princess Diana had died? He recounts his memory of the moment he found out; he was at home spending time with friends and family. He goes on to describe Diana, then takes the reader back to when Diana was a little girl. He tells us about her personality, her familial relationships, and takes us through the major events that happened in her life. An example is how and when Diana met Prince Charles for the first time. Another example is how he shows that Diana always had a love for kids because she used to babysit and be a kindergarten teacher. He carries us through Prince Charles’ and Princess Diana’s wedding an ensuing high-profile marriage. They have two boys – Prince William and Prince Harry. Princess Diana adored her two boys and was protective of them when it came to media, photographs, interviews, etc. The author reveals that Princess Diana struggled with acceptance of Prince Charles’ extramarital, ongoing affair with a woman whom he knew for a long time. It really bothered Diana that she could not have Charles’ undivided anything – love, attention, time, etc. She did complain to Charles about it, but nothing changed. Eventually Princess Diana got tired of it and filed for divorce from Prince Charles. Prince Charles and especially the Queen were not happy about this bit of news; Prince Charles was more hurt and the Queen angry. Princess Diana and Prince Charles maintained an amicable relationship after the divorce since they had to share custody of the boys. At the end of the divorce, most of society seemed to blame Charles’ mistress for the reason he and Diana got divorced making Charles’ mistress not too popular in the court of public opinion. Anyway, after some time, Diana begins dating again and since the boys are older, she begins to discuss these matters with William. He ends up becoming one of his mother’s closest confidantes and public relations advisors. She truly valued his opinions and ideas. As Diana is being a mother, a famous and loved Princess, and advocate for humanitarian aid, she did a lot of traveling and met a lot of different people. She meets an older Arab man who made his wealth in Britain’s real estate market or through investments. Previously, he had invited Diana and her boys to vacation with him at one of his properties, but she had never agreed to the offer. He was even more interested in getting her to vacation at his property so she could meet his son Dodi. This man was hoping Diana and Dodi would marry which would propel him into the upper echelons of British society. During an event, the man and Diana cross paths again; this time he invites her and the boys to his vacation property again and this time Diana accepts the offer. The Paparazzi were always trying to get photos of Diana or her boys for newspapers and other forms of media, but Diana was usually good about covering up and not allowing them to get photos her or the boys. However, there were certain times when Diana wanted to cause a stir so she would call a photographer she trusted or liked and would ask them to photograph her on location. She did just that on one of her many vacations with Dodi and his family. After some time, Dodi and Diana meet; they get along well in the beginning and start spending more and more time together. Diana thinks they have a lot in common because both of their mothers divorced their fathers and left the family. They appeared to be a very good match. While the relationship appeared serious on the outside, Diana admitted to numerous close friends that she was just having fun, enjoying his company, attention and time and that she had no intentions of getting married anytime soon. Leading up to the day of the accident, Dodi had purchased a very expensive ring for Diana. He was adamant about giving it to her, it had to be given to her on a specific night, he had made plans in advance and was looking forward to having a private night – just him and Diana. For a while, rumors swirled around that Dodi had bought Diana an engagement ring, but many witnesses state that Dodi never mentioned it was an engagement ring and that the type of ring he purchased for Diana, he would never give to a woman as an engagement ring. Once the author gets the reader to the night of the car accident, he takes readers through a very detailed timeline of events. Prior to that, the author paints the scene for the dreadful night/morning by giving us a little background on the players involved in the crash on that night. The driver of the car Dodi and Diana are in, Henri Paul, had lost the love of his life and was having a hard time adjusting to it. He was prescribed medications for depression and other mental illnesses, he had also been drinking heavily and was known for speeding while driving. The passenger of the card and bodyguard for Dodi and Diana, Trevor Rees-Jones, was the only person to put on their seatbelt prior to the crash and the only survivor. He tells us about Dodi and how he always gets joy out of outrunning the Paparazzi. He also goes through the events or interactions between Paul and the Paparazzi leading up to the car chase and crash. The author even goes into detail about what happened in the car upon impact with the pillar and after the fact. He talks about the numerous injuries sustained by each passenger in the vehicle. He recounts the events that happened after the car accident and poses questions regarding whether there were any mistakes made and if there were anything that could have been done differently that might have saved Diana’s life. The book takes readers through the crash, the time in the hospital, when Princes Charles, William and Harry all find out she died. When Dodi’s father finds out, French VIPs and other important people all over the world; he also writes about how people reacted to the news. The moment also showed the Queen just how much Princess Diana was loved by many all over the world and that she couldn’t have made a worse decision to delay their return to London so that the boys wouldn’t be alarmed. The Queen intended to spend the rest of the vacation there, but Prince Charles, after speaking with William and Harry, decided it was time for him and the boys to get home and prepare for the funeral ceremony. Prime Minister Tony Blair also had to convey to the Queen how important it is for her to be in London and to show sorrow over the loss of Diana. I found the re-telling of the event to be interesting and informative. 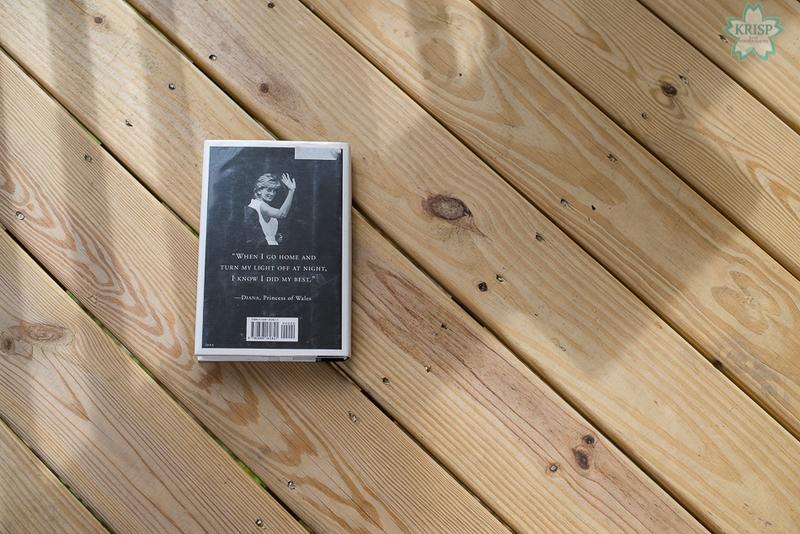 I enjoyed reading the book and although it was kind of graphic to read about the car wreck, it was a great way to put into perspective what happened that night. It is well written and appears to be well researched. I checked this book out from my local library (randomly) because it sounded interesting and I don’t remember reading a full report on what happened, but only heard snippets here and there. I think this book lays out what took place very well. Since this book is an older one, I would think it would be available in most libraries, so I would check there first if you’re not sure you want to buy a copy. However, if you are sure you want to buy a copy of this book, then you can snag one from Barnes & Noble for $23.00 ($16.05 for Members) or Amazon for $13.99 (a Prime item too!). Thanks for stopping by! Come back again next Friday!